US Capital Global recognizes the value of IP assets, and helps lower middle market businesses leverage their patents, trademarks, and brands to secure well-structured debt financing. Why should CEOs and business owners care about IP assets? Because they cannot afford to do otherwise. Not only are IP rights valuable assets, but they can facilitate access to credit, or help in negotiating greater availability and lower interest rates on credits. Can You Bank on Your IP? 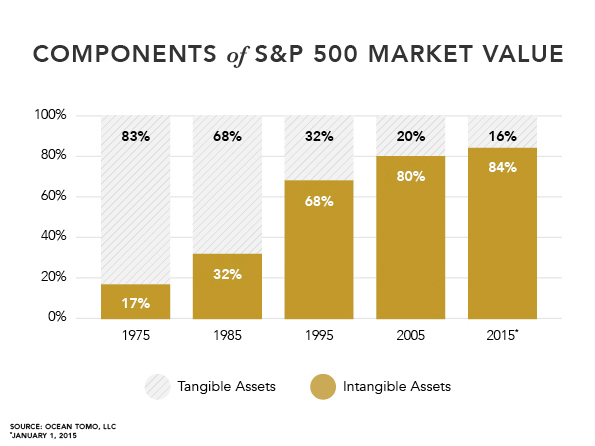 Intangible assets are now estimated to represent at least 84% of the market value of S&P 500 companies. Today’s most promising companies are built on intangible assets, especially their patents, trademarks, and brands. In many cases there is more value in the IP of a business than in its tangible assets. Nonetheless, commercial lending practices still favor businesses rich in tangible assets (such as machinery, raw materials, land, and buildings) to use as security. This is gradually changing. 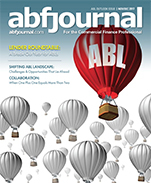 Increasingly, alternative lenders are willing to use IP assets as collateral for loans. The collateralization of IP often also helps increase the amount of credit available. Many smaller entrepreneurial companies struggle to secure the financing they need to grow. According to the 2018 Pepperdine Private Capital Markets Report, nearly 90% of privately owned businesses report having the enthusiasm to execute growth strategies; yet just 54% report having the necessary financial resources to successfully execute growth strategies. One reason for this shortfall in financing has been ongoing regulatory pressures on banks. Another reason that is often overlooked is that our economy has been gradually shifting to one in which intangible assets represent a greater share of the overall value of job-creating companies. Many lenders are still catching up to this reality. US Capital Global provides IP-backed growth-capital term loans of $5 million upwards, even to pre-revenue companies and enterprises with negative cash flow, if their IP collateral is sufficient and their projected cash flow can meet debt service in a 12–18 month period. Unlike many traditional lenders, US Capital Global recognizes the value of IP assets and will assist IP-rich businesses overcome barriers at all stages of financing, by helping them leverage their IP assets. To learn more about how your business can secure the financing it needs, email Jeffrey Sweeney, Chairman and CEO, at jsweeney@uscapglobal.com or call (415) 889-1010.